EuroPCR, the official annual meeting of the European Association for Percutaneous Cardiovascular Interventions (EAPCI) is a leading congress in interventional medicine and provided the perfect backdrop for the launch of this incredible educational experience. 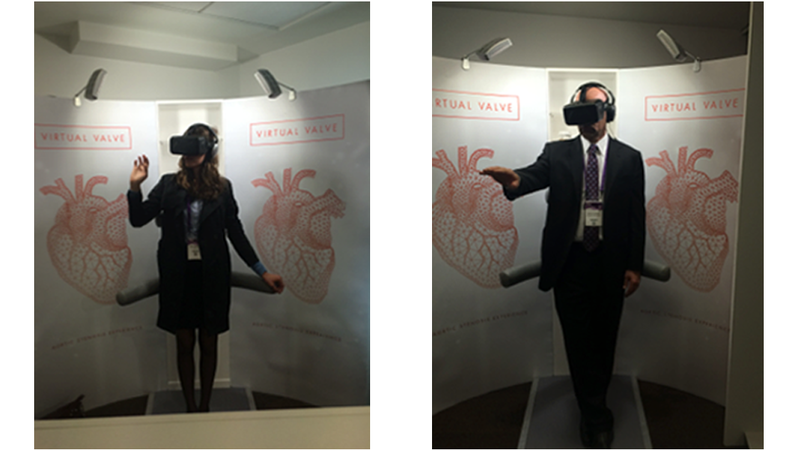 Building on the success of Diabetes Voyager, Virtual Valve uses Oculus Rift’s revolutionary virtual reality headsets combined with motion sensor technology to enable hundreds of delegates to experience traveling through the aortic arch into the heart with full, life-like HD 360 degree vision. Once inside, they were able to explore the left ventricle and interact with the experience to simulate levels of aortic stenosis and assess the impact of this condition on the patient’s heart. For more information on how emotive can help you deliver award-winning, healthcare innovation and digital solutions, please get in touch with Adam Boucher, adamb@thinkemotive.com or call +44 207 148 0408.